This topic contains 199 replies, has 15 voices, and was last updated by Scorp 3 years ago. 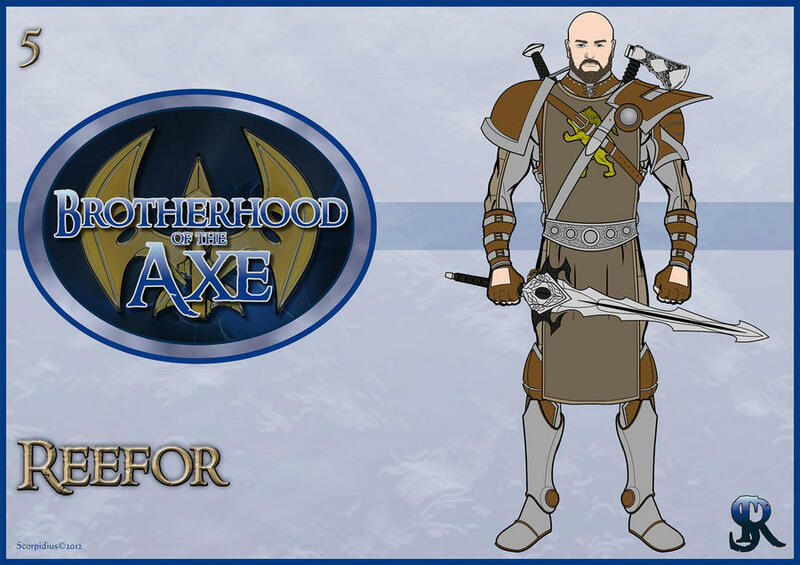 I will add all my Brotherhood warriors here (I have downloaded Chrome and it seems to be working, yey!. Please could I have my other thread deleted now as I don’t need it). I will pop down the synopsis of the Brotherhood story first so you good folk can have a better idea of what is happening. All warriors will be attached as “spoilers” as they are so big in size, this way it keeps this thread a little easier on the eye. “Dark times are coming to the land of Klemilin. It has been foreseen by the 8 Mystics of the Great Temple that an unknown terror, intent on conquering and ruling the land is closing in. They cannot make out who this enemy is, only that it is not from this world and is many. 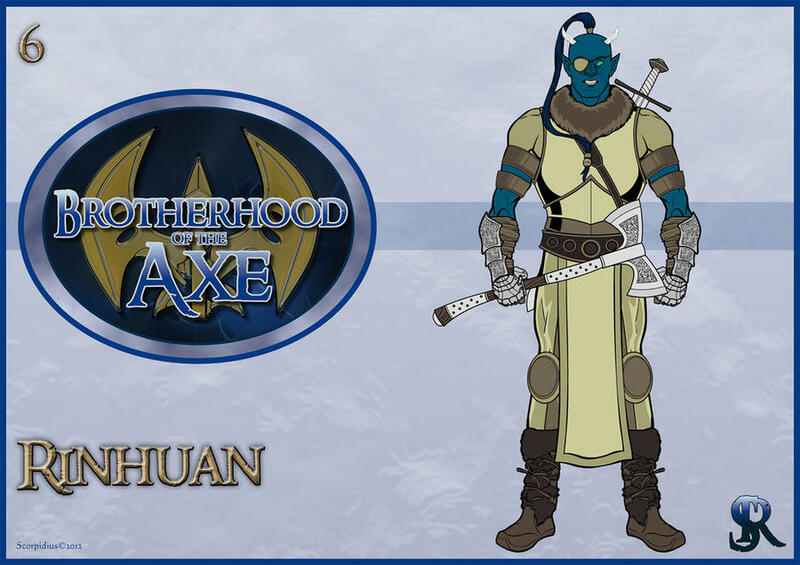 The Mystics must recruit an army, a mighty army who can battle and protect Klemilin from this unknown power. This task has fallen on the shoulders of a proud warrior by the name of Dimereg. Summoned by the Mystics, he has been ordered to travel far and wide, in search of mighty warriors he can take into battle against this forthcoming enemy. To help Dimereg on his quest, the Mystics have opened an ancient secret. The Golden Axe. A very powerful weapon from the time of the ancients, which has been locked away, deep beneath the Great Temple, waiting to be unleashed once again. 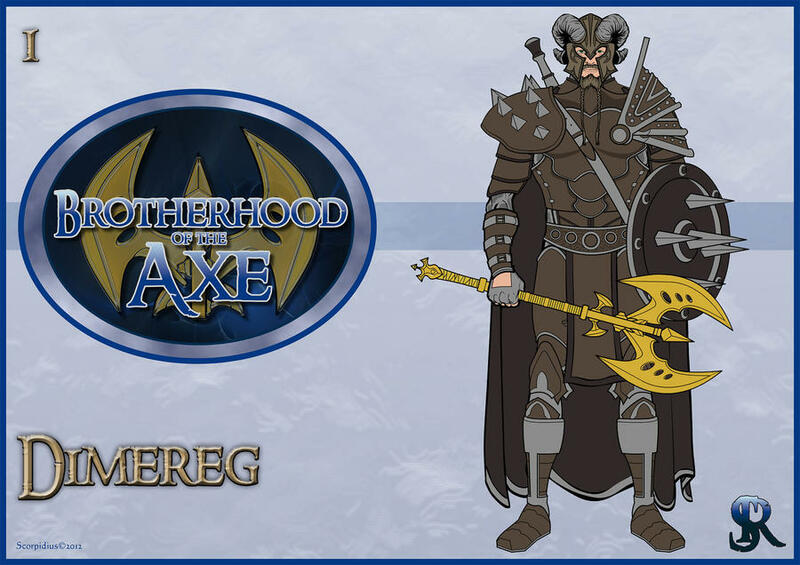 The Axe brings immense power and strength to whoever owns it. Dimereg must control this power and recruit an army big enough to thwart the oncoming threat. 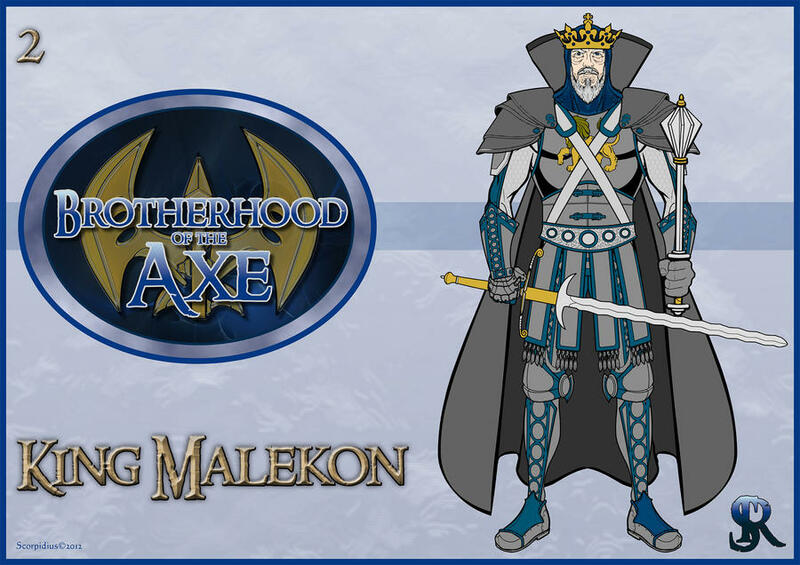 >He must travel far and wide, in search of the worlds most hardened warriors to help him defend the land of Klemilin. The Brotherhood of the Axe. 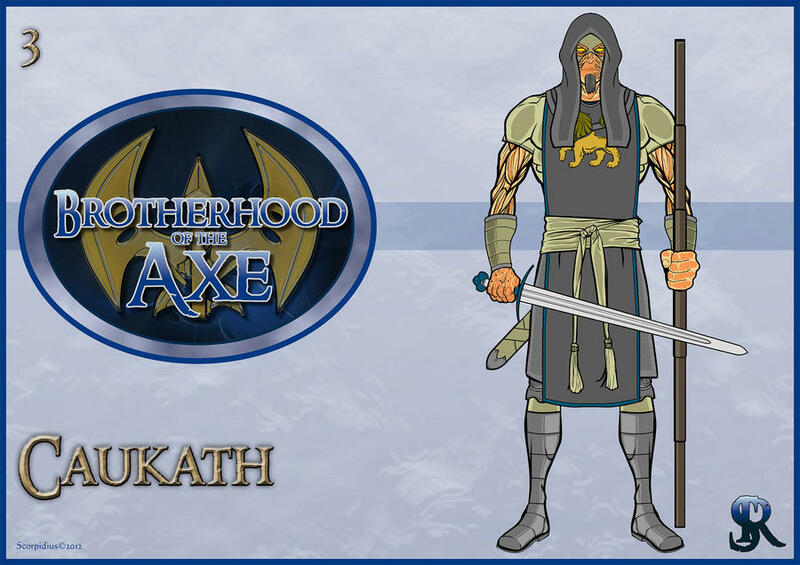 Do you want the other thread closed or do you want to rename it for other the the brotherhood characters? Could you delete it altogether please, I will be putting everything in here in the correct order. Could you also add a “d” on the end of “Brotheroo” Â on my tag please? Â I seem to have missed it off!! Thanks virtue, LOTR is one of the few inspirations I had for this. Aaahh man, that didn't last long! Originally IE but that didn't work. Â I then tried Firefox, where I couldn't get the “browse images” to work. Now trying Chrome, where the browse worked, but it only worked for 4 pics then the uploaded pics are not showing anymore. It seems to be working again at the moment. Â Think I will just have to bide my time with it. I guess I'm lucky, FireFox had been working good for me. Hey hey folks, Lets get back to adding warriors.